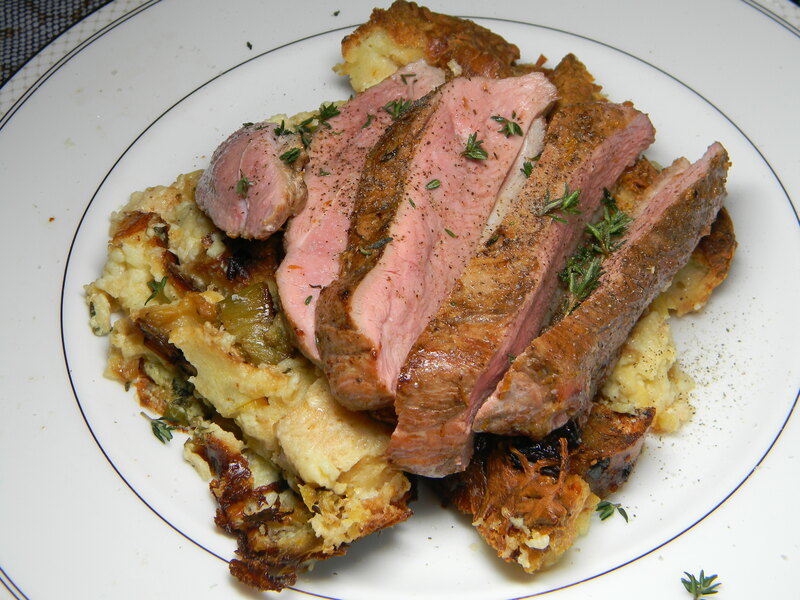 As we promised on Saturday, today we’re posting the second installment of our Valentine’s meal of leek break pudding with seared duck breast – both from Thomas Keller recipes. We already have a couple of seared duck breast recipes up on the blog, but small variations can make a big difference in flavor. Gardner has started writing as a food contributor for the Law School newspaper – Not Wythe Standing. Here’s a copy of his recent column about Valentine’s food. Though some portions aren’t relevant in March, hopefully the ideas about romantic meals will be helpful to you as you think about dining options for upcoming date nights! ← Bread Pudding… with leeks?